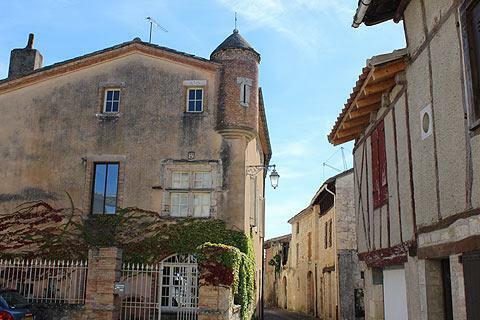 The village of Castelnau-de-Montmiral is situated along the crest of a hill above the valley of the Vère river in the countryside of the Tarn department (Midi-Pyrenees region), to the west of Albi and north-west of Gaillac. 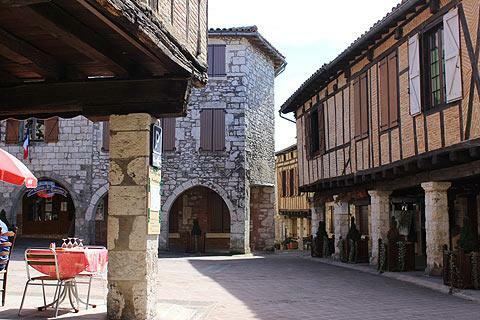 The village was founded as one of many bastide towns in the region in 1222 by Raymond VII of Toulouse and is now classified among the most beautiful villages in France. 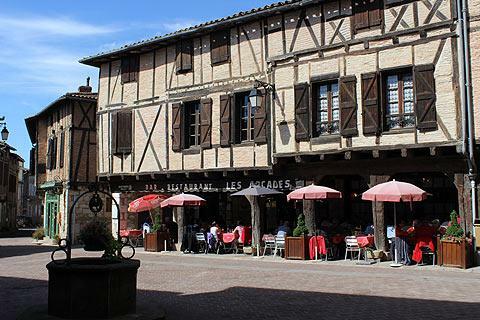 The centre of Castelnau-de-Montmiral, and the highlight of your visit, is the central square in the town - the Place des Arcades. 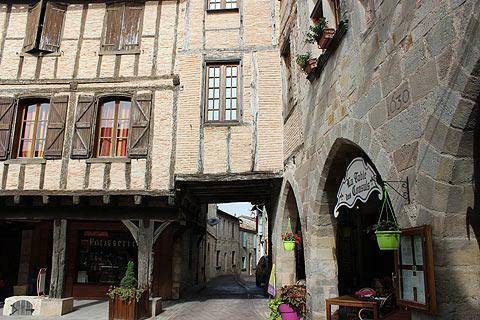 The square is largely surrounded by medieval houses with the original arcades at ground floor, and one of the most impressive of these medieval centres that we have seen. 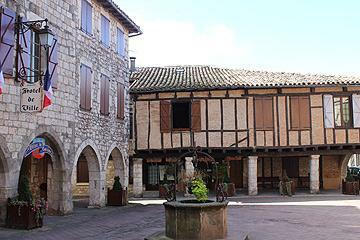 The Castelnau-de-Montmiral tourist office is also on this square. A stone pillory on one corner of the village was the 'pilori' and used not only to tether animals before their sacrifice but also to tether adulteous woman and petty thieves! Another historical monument is the Church of Notre Dame of the Assumption, with a 15th century altarpiece and a jewel encrusted cross that once belonged to the Counts of Armagnac, and a statue of the 'pieta'. 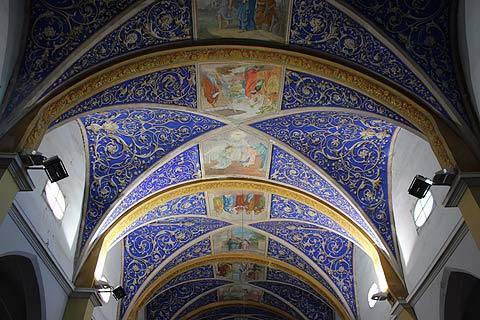 The church has a lovely ceiling painted in a rich blue, white and gold design. Two of the original 13th century gateways through the town ramparts can also still be seen, the most impressive being the Porte des Garrics, a fine example of military architecture dating back to the 13th centre. 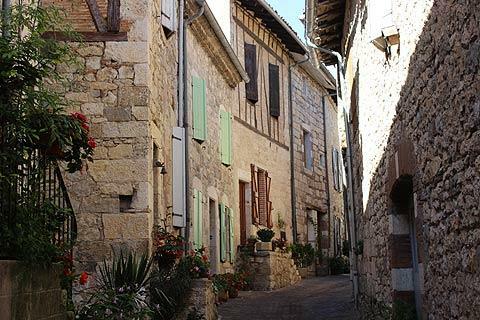 Wherever you wander throughout Castelnaud de Montmiral there are half-timbered medieval houses mixed with the stone houses and with the terracotta roofs and wooden shutters the whole village is beautiful. 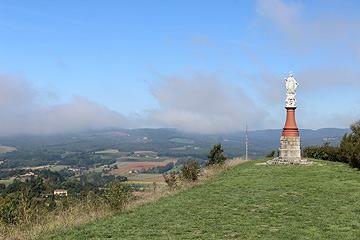 Just beyond the church at the edge of the village (the other side of the Place de la Rose) there is a statue of the Virgin Mary and a lovely view across the forests of the region. The whole village is built on a promontory and the statue is out on one side of the promontory (called Pechmiral) meaning that not only do you get great views of the countryside but you can also look back and get some good views of the village. At the other end of the village is the area that once was home to the castle of Castelnau de Montmiral. 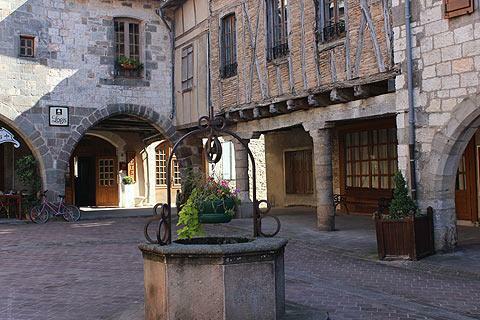 This no longer exists and this is now the edge of Castelnau-de-Montmiral rather than the centre. This is another excellent viewpoint for views over the countryside. The proximity of the town of Gaillac and the surrounding vineyards of Gaillac make the region around Castelanu-de-Montmiral an excellent destination for wine sampling and tourism. 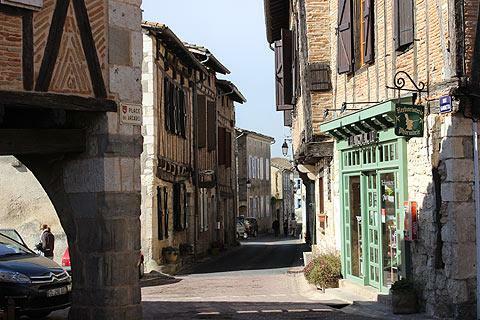 Two other 'most beautiful villages of France are also close by at Puycelsi and Bruniquel. 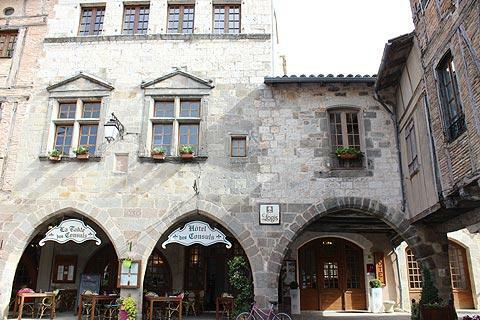 You can find more local travel ideas in the Tarn guide and the Midi-Pyrenees guide.